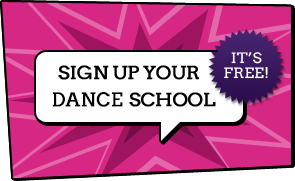 Dancingclasses.biz is a directory of dance schools and classes. Below is an alphabetical list of dance schools registered with us in your town. If you are looking for a specific dance school or want to search for another town or by county please use our dance classes search on the left. If you are looking for Summer dance schools or Holiday workshops please visit our holiday workshop page. Perform - Drama Workshops Drama, dance and singing workshops for 4-8 year olds to help develop confidence, co-ordination, communication and concentration skills and guaranteed to be the best fun your child will have all week. And best of all, the children won't notice how much they are improving their social skills along the way. All interested children are entitled to a Free Trial Session. Classes in London, South West and South East. Perform is a different type of drama school. We use a unique mix of drama, dance and singing specially formulated to bring out every child's true potential. Classes are kept small to ensure lots of individual attention by our experienced teachers - hand-picked for their warmth, energy and professionalism. They'll focus on your child's enthusiasm and engagement in the activities rather than their precision and be with them every step of the way to guide, inspire and encourage. As well as having fun at Perform, your child will enjoy real benefits - greater confidence, improved concentration and an increased awareness of what they can achieve. Whatever your child's personality, you'll be amazed by how much they'll shine. Act Around provide Performing Arts Training, delivered from our purpose built school in the centre of Luton. Catering for young people between the ages of 10 and 18, we provide extensive training in Drama, Music and Dance. Whether your aspirations are for a career in the arts or would just like to raise your confidence and self esteem, Act Around will have something for you. We provide additional intensive workshops with role play techniques, character development, posture, attitude and conduct skills to ensure that everything you learn will be transferable and part of your ever growing and valuable life lesson. We are enrolling students now! Please feel free to contact us for more information, or pop in to our offices to see what we do. You can also visit our website where you can receive up to date information on our offerings, sign up to our newsletter or register your interest! Top professional Stage School supporting children grow in confidence. Many performance opportunities! Performing arts school based in Dorking and Horsham teaching drama, all types of dance and singing to aspiring performers. We take students from age 3 to 19 and regularly put on shows and perform at local events. We also run 2 youth theatres for ages 7-12 and 13-19 which put on musicals and drama events. We also run accredited exams through LAMDA, LCM and UKA. Welcome to the world of pole dance fitness. Pole dancing classes in London. Protegem dance school offers classes in ballet, tap, street dance and musical theatre (dance drama and singing) We are a friendly school seeking to find the best in every student. Our students are entered for IDTA exams and perform shows at local theatres. Our auditioned youth dance company perform across the country in the big London theatres and have performed twice at Disneyland Paris! In bringing two styles of education—traditional liberal arts and sciences programs and conservatory-based arts programs—into close contact on one campus, the founders of Purchase College hoped to inspire an appreciation for both intellectual and artistic talents in all students. Act! Dance! Sing! Classes for 4 - 18 year olds, taught by professionals. The Peploe-Williams Academy of Theatre & Performing Arts, is a professional performing arts training facility based in Winslow, North Buckinghamshire. Professional performing arts, Dance, Drama, Acting, Theatre and Singing training for Children and teenagers, auditions classes open for all kids in UK. For children interested in performing, technical or creative theatrical arts. Our fees are VERY reasonable and are based on £4 an hour. You also get a FREE taster session when you first think about joining. We have: • Classes in acting, singing and dancing for 5 to 18 year olds on Saturdays. • Classes for acting for 5 to 18 year olds on Wednesdays • Classes for the technical crafts (lighting and sound) and creative crafts (set design and decoration, props, special costumes and publicity) for 11 to 18 years on Saturdays. Ayrshire's number one part time theatre school for children of all ages! Call 01292 388132 or email ayr@razzamataz.co.uk to book a FREE Taster Session! Razzamataz Theatre Schools is a part-time children's theatre school that provide training in Dance, Drama and Singing in both Musical Theatre and Commercial styles. We have four separate age groups Minis 4-5 Juniors 5-8, Inters 9-12, Seniors 12-18. FREE TASTER SESSIONS now available in Balfron High School from 09:00am - 10:00am for Minis. Juniors 10:00am - 12:30pm Inters and Seniors 10:00am - 13:00pm. All pupils get 1 hour of each discipline Singing, Drama and Dance. Juniors get 1/2 Drama as well as the 1hr classes of Dance and Singing. All teachers are qualified and CRB checked. This is a Theatre School which offers Dance, Singing and Dance lesson for young people between the ages of 4 to 18. The School offers lessons in Musical Theatre, Streetdance, Pop Singing and Physical Theatre as well as offering one off workshops and dedicated Academies within the holidays. Razz is funky, fresh and vibrant! We teach children aged from 4 to 18 a mixture of musical theatre and pop singing, commercial street dance and drama on a rotational basis. The curriculum is so varied that you will never get bored at Razzamataz! :)! Razzamataz Manchester South is launching! And we are offering a free taster session for all on Saturday 13th September 2014. Razzamataz are a part time children's theatre school providing training in street dance, pop singing and Musical Theatre dance, drama and singing for ages 4-18 years. We aim to develop a child's confidence, improve their social skills, increase their health and fitness levels and ensure they have lots of FUN! All in a safe and secure environment with fully CRB checked and qualified/experienced teachers. Performing Arts School in Mansfield. Singing, dancing and drama for kids. Great sibling Discounts. We offer high quality, affordable training for children aged 4-18 years in the Performing Arts in Barnet. We provide weekly sessions in dance, drama and singing in one session. NEW FOR SEPTEMBER 2014 RAZZ TOTS!!! For ages 2-3 years, book your free taster now! Razzamataz Theatre School Hampstead is a part-time performing arts school for children aged 4-18 years. Razzamataz shot to fame when the Founder appeared on Dragons' Den in 2007. Performing Arts for children in Weymouth aged 4-18 years. We run sessions in drama, singing and dance in commercial and musical theatre styles. Come along on Saturdays for street dance, pop singing, musical theatre, drama, song and dance. Vocal training, dance lessons, acting, physical theatre, kids drama. Drama,singing and dance classes for 4-18 year olds. Regular performing opportunities and activities. Razzamataz Cambridge is the perfect place for boys and girls aged 4-18 years with an interest in performing! Razzamataz Cambridge provides training in musical theatre, street dance, pop singing and drama! Razzamataz Theatre Schools are an ideal place for boys and girls with an interest in the world of Performing Arts to learn about pop singing, street dance, musical theatre, commercial dance styles, drama and physical theatre. We aim to help build a child's confidence in a safe, friendly and fun environment and provide top quality tuition in performing arts from professional, fully CRB checked teachers. Razzamataz school in Sheffield provide training in dance, drama and singing for ages 4-18 in both Musical Theatre and Commercial styles including Street Dance & Pop Singing. We aim to develop a child's confidence, improve their social skills, increase their health and fitness levels and ensure they have lots of fun! All in a safe and secure environment with fully CRB checked and qualified/experienced teachers. Call Helen now on 07979189177 to book your FREE taster session. Razzamataz Bristol North Theatre School in Yate, delivers top class drama, singing and dance lessons to children aged 4-18 years. We are based at Yate Leisure Centre and meet on Saturdays during term time. Razzamataz school in Yeovil provides training in dance, drama and singing for ages 2-18 in both Musical Theatre and Commercial styles including Street Dance & Pop Singing. We aim to develop a child's confidence, improve their social skills, increase their health and fitness levels and ensure they have lots of fun! All in a safe and secure environment with fully CRB checked and qualified/experienced teachers. Call Claire now on 01935 411128 to book your FREE taster session. Reach is a thriving Musical Theatre school providing weekend and holiday classes in Dancing, Singing and Drama. We have classes for children, young people and adults from 6 to 18+, the class sizes are small to ensure we meet the individual needs of all our members. We meet at Tettenhall College on Sunday afternoons. Contact Mike on 07983403375 for details or go to www.reachforthestage.co.uk For students wishing to become industry professionals we are the alternative to full time Stage School. As well as providing quality Performing Arts coaching we ensure that each child develops confidence, communication skills and self-awareness whilst having fun and meeting new friends. Stagecoach in Reigate is now excepting new students. Join us now for our Summer Term all children from 4 years to 18 years welcome. Drama, Singing and Dance! For boys and girls aged 4-18. Musical Theatre, Commercial, Drama, Street Dance, Pop Singing and much much more! Scotland's leading performing arts training centre, we offer short courses and summer schools for young people and adults in drama, music, dance, theatre production and screen. Russian Theatre School "Tomorrow Spring"
Students at Saffron Walden Stagecoach participate in all three performing arts disciplines: drama classes, dance classes and singing classes - helping to develop confidence, physical awareness, communication and articulation - as well as being educational and fun! Salford Arts Theatre young performers company are based in Salford and offer affordable performing arts training ages 4-15yrs. ACTING Saturday | DANCE & SINGING Monday| 17-25 yr old Performance class Monday. Drama School in Wirral, singing, dancing and acting classes at Sands theatre school. Venues in Harrow, Rickmansworth, Ruislip & Stanmore. Musical Theatre Classes, Productions, Theatre Summer Schools, LAMDA, Singing, Acting, Dancing, Performing. We offer youth performance sessions for 8 to 16 year olds in North Wales. We are currently based in Bangor & Holyhead. Each area perfroms two shows a year. A fun, safe environment to meet new people, make friendsm, build confidence and perform!! Part-time school offering musical theatre training to performers aged 7-17. Our students are showcased on professional film and seen by an audience of West End and Broadway directors. We offer a unique showcasing platform, with PROFESSIONALLY FILMED performances and behind-the-scenes rehearsal footage captured on DVD. Members of our Elite Musical Theatre Team benefit from ORIGINAL showtunes written for our students by industry composers. Performers can enrol in our Musical Theatre Training Classes or Audition for our Elite Musical Theatre Team. We are known for providing a professional but family-like environment and have a record of producing skilled, confident, professional young performers. Schools run in Beaconsfield and London. Welcome to Stagecoach Leeds Menston where we provide quality part-time training in singing, dancing and drama for children aged 4-18 years. Our classes are held at fantastic facilities at St Mary's School, Menston. Every Saturday morning from 10am to 1pm. SIGN UP NOW FOR OUR AUTUMN TERM! Our classes run every Saturday 10am till 1pm during term time. Call 0113 2637780 for more info. Stage It! is a performing arts academy for 4-18 year olds in Tamworth, Staffordshire. We believe performing arts training should be fun, energetic and exciting, and we have a faculty of experienced and talented teachers in dance, drama and music. We put on shows twice each year, and also produce other items throughout the year, including DVDs, music CDs and more. All our drama Sessions develop your child’s imagination, creativity and the ability to express them selves with confidence, both vocally and physically. Our classes take place in Harlow in Essex. After school drama classes for kids who love to ACT classes in Wokingham and Reading. Contact StageAbility Reading Berkshire on 0118 933 3791. Saturday classes for dance, singing and drama for ages 4-18, taught by professionals. Classes of dance, singing and drama held in Amersham for ages 4-18, taught by professionals. Down-to-earth quality training for 4-18 year-olds in the disciplines of dance, drama & singing. Stagecoach Drama school in Barnet runs singing, dancing and drama classes every week during term time. The classes offer quality part-time training in singing, dancing and acting for children and teenagers living in and around Barnet. Dance, singing and drama for kids in Bedford near Kempston and Ampthill. Stagecoach is a part time performing arts school in Borehamwood that teaches 4 to 16 year olds stage skills that help them perform better in life. For almost 25 years our drama academy & musical theatre classes have seen young people gain confidence, stretch themselves, and build essential life skills. Not only do we teach the tools to sing, dance and act, but most importantly to have fun as well! Dance, singing and drama for ages 4-18, taught by professionals. Dance, singing and drama for all abilities. Quality tuition delivered by professionals in Caerphilly. Canterbury Dance, Singing and Drama for ages 4-18, taught by professionals. Friday classes of dance, singing and drama for ages 4 to 18, taught by professionals. Stagecoach schools run on Saturdays during term time teaching drama, dance and singing. Stagecoach Chippenham opens Sept 2013 and will run on Thursday evenings. Offering a combined session of Dance, Singing and Drama for children aged 4 - 18 years. Drama classes in Chorleywood plus dance and singing classes in one complete session. Dance, Singing and drama for children ages 4 to 18 years. Classes taught by professionals. Dance, singing and drama for ages 4-19, taught by professionals. ACT, SING, DANCE - Quality Performing Arts Education. Weekly classes and Holiday Workshops in Cowbridge near Barry. Dance, Singing & Drama for 4 - 18 year olds. Taught by professionals. Dance and Performing arts school in LEEDS, Singing, dancing and drama for kids. Dance, singing and drama for ages 4-18, taught by professionals in Darlington. Dance, Singing and Drama for students aged 4 to 16. Holiday Workshops also available. Drama, Dance and Singing classes in Bromley for children and teenagers.We provide quality tuition in all three performing arts disciplines, please visit our website for more details. Performing Arts School in Farnborough on Hampshire and Surrey borders. Offers drama, singing & dance to kids on a weekly basis. Classes in Drama, Singing and Dance every saturday, for 4-18 year olds, in term time and in the summer holidays in Harrow. Drama, Singing & Dance for ages 4-18. Taught by experienced professionals in small groups. STAGECOACH HENLEY AND WARGRAVE A PERFORMING ARTS SCHOOL FOR 4-18 YEAR OLDS. SING, DANCE, ACT AND PERFORM WITH US! Over 600 schools in the UK. Weekly classes for 4-16 year olds at weekends and after school. Ages: 4 - 16 Years. Musical Theatre & Performing Arts School for ages 4-18. Creative learning, building confidence, life skills, new friends! Cool shows, regional events, community events, exams, attendance awards, progress reports! Dance: Street, Contemporary, Jazz, Musical Theatre, Lyrical, Flashmobs! Singing: Musicals, Pop Songs, Vocal Projection, Breath Control, Harmonies, Melodies, Choral Work, Solos, Duets. Drama: Acting, Script Work, Creative Writing, Drama Study, Character Development, Improvisation, Physical Theatre. Saturday morning classes of Drama, Singing and Dancing for ages 4-18, taught by professionals. Dance, Singing and Drama for ages 4 - 18 year olds, taught by professionals in Kettering. Drama school in Kingston and Surbition in Surrey. singing, dancing and acting in one session. Term-time Friday and Saturday classes in Leatherhead, Surrey. Holiday workshops are also available. Fun Dance,singing and drama sessions for ages 4-18, Leeds. Fun Dance, Singing & Drama sessions for ages 4 - 18. Taught by experienced teachers. Saturday classes of dance, singing and drama for ages 4-18, taught by professionals. Come and join in the fun at Stagecoach Marlow! We provide high quality training in singing, dance and drama for students aged 4 - 21 years. We offer classes in Marlow on a Friday evening - check out the times below! EARLY STAGES(4- 6 years) Friday 16:30 - 18:00 MIDDIE STAGES (6 -8 years) Friday 16:30 - 18:30 MAIN STAGES (6 - 16 years) Friday 16:45 - 19:45 If you would like more information on our classes, please contact Clare on 01494 533203 or email Henley@stagecoach.co.uk to book your place now! 4-7 year olds do 1.5 hours of dance, drama and singing. Ages 7-18 do an hour of each discipline. Dance, singing and drama classes in Merthyr Tydfil for kids each week on a Thursday. Dance, singing and drama classes for children aged 4 to 18 years in Uttoxeter. Kids Dance Classes, Singing and Drama in a 3 hour session in Newquay Cornwall. Dance, singing and drama for ages 4-18, taught by professionals at Stagecoach Ormskirk . Drama, Singing & Dance for ages 4-18, taught by professionals. We are a well established school with a team of dedicated and professional teachers. We aim to help the children thrive in a fun and encouraging environment from week to week. If your child loves to sing, dance or act for you at home, this is the place to bring them to to enhance those skills! Maybe your child lacks confidence and you want to help them through this. We can help them! Each week, children aged 4-18 will experience 3 sessions of drama, dance and singing and make new friends at the same time. We encourage a community envrionment at our school by inviting parents in twice a year to watch performances. Dance, Singing and Acting classes at stagecoach in Chelmsford for kids aged 4-18 taught by professionals. At Stagecoach Performing Arts School we provide a welcoming, safe, positive and family friendly environment that will bring out the confidence and full potential of EVERY child. Dance, singing and drama for ages 4-18. Lots of fun and taught by professionals. Welcome to Stagecoach Andover. We provide quality part-time training in performing arts for children aged 4-18yrs. Welcome to Stagecoach Basingstoke, providing quality part-time training in the performing arts for children aged 4-18yrs. Our aim is to nurture and develop young potential through singing classes, drama classes and dance classes in Basingstoke, stretching young imaginations and building confidence. Stagecoach Bath provides quality training in singing, dancing and acting to children aged 4 - 18, we also hold holiday workshops. Largest part time theatre school in Cambridge. Singing/Drama/Dance classes once a week. Each week during a term students have 3 hours split into 3 lessons -singing, dancing and drama. Performing Arts School offers quality training for 4-18yrs in drama dance and singing. As a stage school, our aim is to develop children's potential in singing, acting and dance and to stretch their imagination and build their confidence to perform in life if not on stage. Singing Dancing & Drama for Children Aged 4 - 18 Years at our Saturday Performing Arts School in East Grinstead, West Sussex. We attract children from Lingfield, Felbridge, Forest Row, Copthorne, Turners Hill, Crawley Down, Burstow and surrounding areas. Performing Arts School in Farnham Surrey near Alton Hampshire, offers drama, dance and singing classes for 4 - 18 year olds. Stagecoach Frome is a part time performing arts school that offers weekly Acting, Singing and Dance classes to children every week during school time. We also run 5 day holiday workshops during the school holidays. Welcome to Stagecoach Gloucester where we provide quality part-time training in Acting, Dance and Singing for children aged 4-18yrs. Dance, singing and drama for ages 4-18. Taught by professionals. Drama, singing and dancing in Huddersfield, for ages 4 to 18, taught by professionals. Drama, Singing and Dance classes with CRB Checked Teachers for children aged 4 to 18 years. It's our 9th year at the Peace Festival, Sunday 16th June at the Pump Room Gardens in Leamington Spa. 150 of the students aged 6-20 will be performing 4 songs based around the theme of peace. Be there at 11am to support us! This year our Holiday Workshop is running from the 12-16th August 2013. Main School runs from 10am till 4pm each day and students (6-18 years old) will perform "Starlight Express!" An ameatur youth production by arrangement of The Really Useful Group. Our Juniors (aged 4-6 years) attend from 9.30am till 12.30pm and will perform "Superheroes Rock!" both at Trinity School, Leamington Spa! Book now! Call Jacqui Dance on 01789 263 464/07976608574 or visit the website www.stagecoach.co.uk/kenilworth We are now recruiting for our Autumn Term! Check out the website, www.stagecoach.co.uk/kenilworth for dates and times. Drama, Singing and Dance classes with CRB Checked Teachers for children aged 4 to 18 years. This year our Holiday Workshop is running from the 12-16th August 2013. Main School runs from 10am till 4pm each day and students (6-18 years old) will perform "Starlight Express!" An ameatur youth production by arrangement of The Really Useful Group. Our Juniors (aged 4-6 years) attend from 9.30am till 12.30pm and will perform "Superheroes Rock!" both at Trinity School, Leamington Spa! Book now! Call Jacqui Dance on 01789 263 464/07976608574 or visit the website www.stagecoach.co.uk/leamingtonspa We are now recruiting for our Autumn Term! Check out the website, www.stagecoach.co.uk/leamingtonspa for dates and times. We provide quality part-time training in the performing arts for children aged 4-18yrs. Our aim is to nurture and develop young potential through singing, acting and dance classes in Malton, stretching young imaginations and building confidence. We provide quality part-time training in the performing arts for children aged 4-18yrs. Our aim is to nurture and develop young potential through singing, acting and dance classes in Northallerton, stretching young imaginations and building confidence. Performing Arts School in Oxted in Surrey, singing, dancing and drama classes. Stagecoach Pontefract where we provide quality part-time training in the performing arts for children aged 4-18yrs. Dance, Singing and Drama classes for Children and teenagers up to 18 years in Preston. Classes take place each Saturday during term time. Dance, drama and singing classes for children aged 4 to 18 years in Richmond. 3 hours every Saturday morning and afternoons for 6 to 18 years and 90 minutes for 4-6 years olds; children train in all aspects of theatre arts - dance, drama & singing . all classes are held at Barley Lane Primary School, Chadwell Heath - book NOW! Drama, singing and dance classes for children and young people age 4-18 years. Don't forget our fantastic holiday workshops. Come and join the fun! Performing Arts School in Trowbridge, Wiltshire. Singing, dancing and Acting. Welcome to Stagecoach Walsall where we provide quality part-time training in the performing arts for children aged 4-18yrs. Dance, drama and singing lessons for kids from 4 to 18 years. Drama, Singing and Dance classes with CRB Checked Teachers for children aged 4 to 18 years. This year our Holiday Workshop is running from the 12-16th August 2013. Main School runs from 10am till 4pm each day and students (6-18 years old) will perform "Starlight Express!" An ameatur youth production by arrangement of The Really Useful Group. Our Juniors (aged 4-6 years) attend from 9.30am till 12.30pm and will perform "Superheroes Rock!" both at Trinity School, Leamington Spa! Book now! Call Jacqui Dance on 01789 263 464/07976608574 or visit the website www.stagecoach.co.uk/warwick We are now recruiting for our Autumn Term! Check out the website, www.stagecoach.co.uk/warwick for dates and times. Performing arts classes for children in drama, dance and singing here in Watford based at Parmiter's School. Drama, Dance and Singing classes in Woking for Children 4 - 18 years. Dance, singing and drama classes for children aged 4 - 18 years. Quality training in a safe enviroment in dance, singing and drama for kids of all ages and abilities in Pontypridd. Drama, singing and dance for ages 4-18 in Poole, taught by professionals. Opportunities for performance and to be part of our Children's Casting Agency. Call us now on 01962 859995 or visit our website. Act, sing and dance for 3 hours each week for 6 to 16 year olds, 1.5 hours each week for 4 to 6 year olds. Friday, Saturday and Sunday classes available. Each School has three hours per week split into 3 x 1 hour classes of acting, dance and singing. Stagecoach, Britain's first & largest part-time stage school. Classes in dance, drama & singing. Classes in Drama, dance and singing in Stanmore and Harrow. Drama, Singing and Dance. Saturday mornings for ages 4 - 18. Have fun, make friends and perform. 1st class training in the Performing Arts for children age 4-18yrs run by Principal Jennifer Scarfe. Providing quality teaching and training in all areas of the performing arts. Holding classes for 4-18 year olds weekly in Wokingham. Opportunity to perform at the countries largest arena, West End Theatres, LAMDA exams and theatre trips. We specialise in adapting our teaching to suit the individual, whether it be confidence building of refining performing techniques. Current students can be seen in Matilda, Charlie and The Chocolate Factory, Billy Elliot and previous roles include Shrek, Oliver (West End and UK tour), Chitty Chitty Bang Bang and The Sound Of Music..
ACT, SING, DANCE - Quality Performing Arts Education for children aged 3-18 years. Weekly classes & holiday workshops in Bridgend-Cowbridge-Cardiff, South Wales. Stagecoach Cambourne offers classes in drama, dance and singing to children aged 4-16 years. The classes are held at Cambourne Village College after school on Wednesdays. ACT, SING, DANCE - Quality Performing Arts Education for children aged 3-18 years. Weekly classes & holiday workshops in Cardiff, South Wales. Saturday classes for drama, singing and dance for ages 4-18, taught by professionals.